4th Edition e-text now available! To help you get started, we have included a set of pointers to web resources, videos and other useful material about interaction design. We've also included a large number of case studies that cover a wide range of topics and methods in more depth than in the book. These are written to show you different ways in which interaction design is carried out in practice - both in research and in industry. For each chapter of the book, there are web resources, a set of Powerpoint slides and comments on the chapter's assignment. We’ve also added some more short ‘talking head’ videos from a representative set of people asked to give their thoughts on the future of HCI. 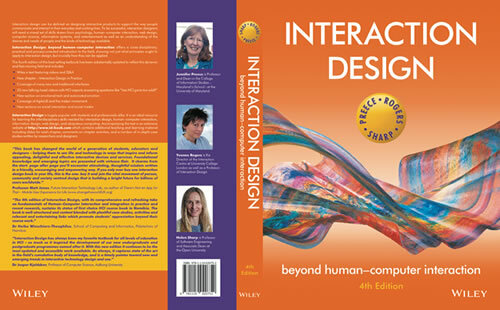 More in-depth interviews with HCI luminaries that were in the first and second editions are also included. 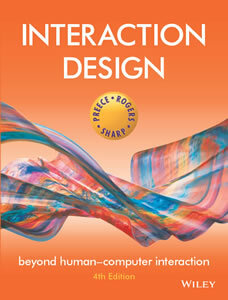 The site is intended primarily for students and instructors using the book, but can be used by anyone else wanting to learn more about interaction design. Select previous editions by clicking on the images below.